I really love that orange flavor on seafood or meat! and for some reason, anything citrus these days have become appetizing to me. 1 tbsp of bourbon or whiskey. Pound the chicken in between the roulpat to make it flatter and this way it will cook more evenly. Place the chicken in a ziploc bag and pour the marinade over it. Let the chicken marinade 30 minutes to a few hours. 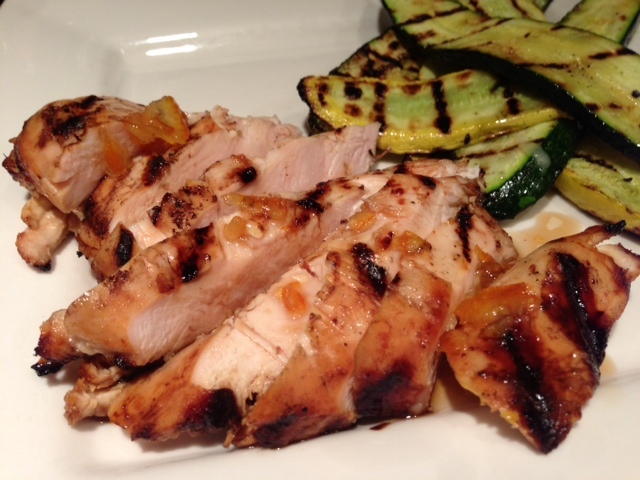 After the chicken has marinated, turn the oven to 400, or turn on your grill if you rather grill your meat. 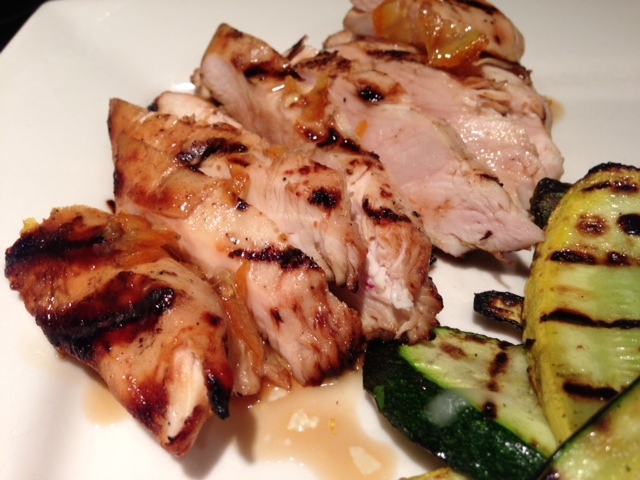 Place the chicken on a flexipat and cook for 15 minutes, or grill on a grill. Meanwhile, in a small saucepan cook all the ingredients given above for the sauce for a few minutes. Before serving, or slicing the chicken, let it rest for a few minutes on the flexipan. Cover the pan with a silpat so that it will not cool down to fast. Slice the chicken breast in tiny strips, pour this sauce over the chicken. Serve with vegetables of your choices. 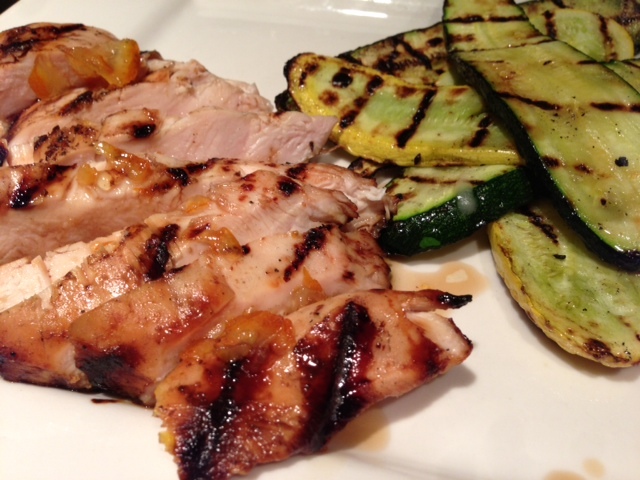 I served it with grilled sliced zucchinis and squash. Yummy!!! Yum cecile. That looks great!!! I have to try it soon!